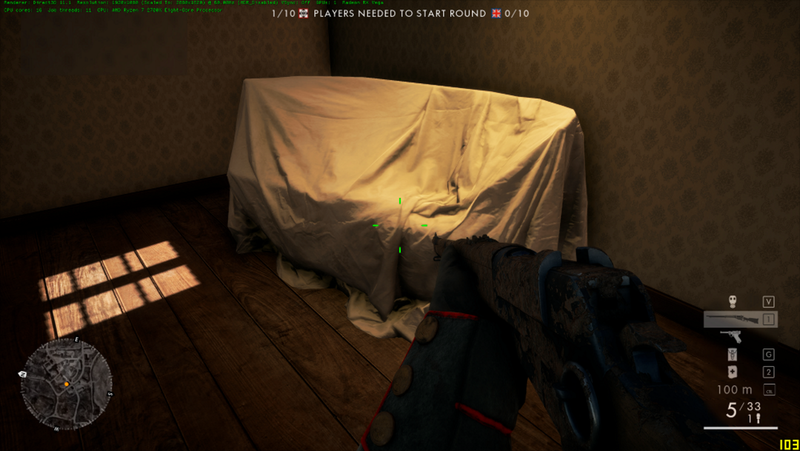 Battlefield 1 is a beatifull game and the graphics are still simply amazing. The combination of semi-destructible environments, terrain deformation, and lighting effects—along with plenty of skill on the part of the level designers and artists—results in a visually impressive game. For me, Battlefield 1 is the best battlefield so far. I might be the only one who feels that way. But I mean it. 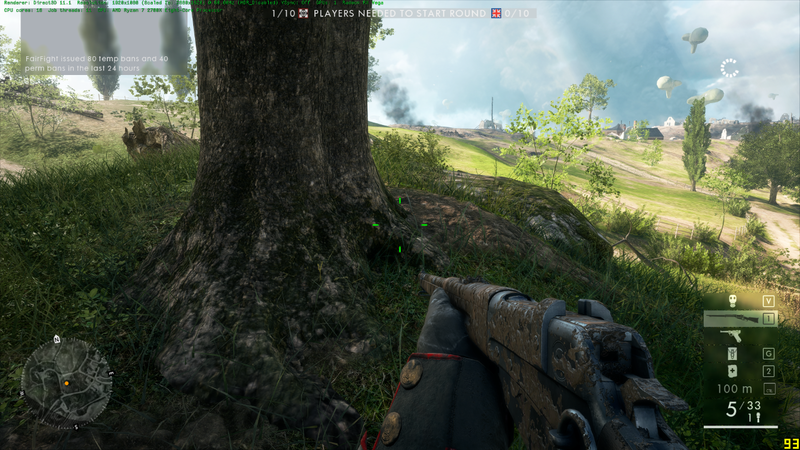 BF1 includes a decent number of settings to tweak, in addition to the presets. I will provide you with every single graphics comparison and benchmark you can imagin. I will benchmark everything I can think of. And in the end, If I forget something, just mention it in this topic and I will bench it for you. There have been simular reviews like this one, but those are outdated. Since then there have been many changes to the game. Some might even say that the first release was a lot smoother then the latest one. Let's have a look how the settings effect the game in 2018. - I only bench online. I'm guessing all of you are not playing the singleplayer campaign every day. - I'm only benchmarking DIrectX11. Simply because it's the best setting for 99% of all players. DirectX12 has no visual benifits at all in this game. - I do most benchmarks on the map "St Quintin Scar" simply becaus it's the most demanding map in the game. - I always try to stay in the same area/house while benchmarking. 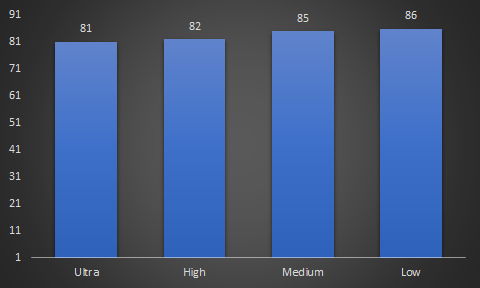 This so that there is a realistic comparison between low, medium, high and ultra. - When certain big things happened in a session, like an airship explosion or the destruction of my house, I didn't use that benchmark session for the comparisons, in those cases, I restarted. - I only show the minium framerate. I don't beleave in avarages and maximum framerates. It's an online shooter. And it's the minimum framerate that has to stay above 60 in order to keep smooth gameplay. - I benchmark at 3 settings. 1080P, 1080P with 150% resolution Scale and 1080P with 200% resolution scale. There is little to no difference when it comes to texture quality between, low, medium, high and ultra. I asked my wife just to make sure there is nothing wrong with my eyes. On the image below you will see "ultra" on the left side of the image and "low" on the right side. You might actually think that the right side is ultra, simply because the object has more details on the right side. This setting on low does make plants look brighter then on ultra. On avarage, you can win around 6% performance by lowering this setting to "low". I recommend that you put in on low, especially if you're playing on a resolution scale above 100%. Only put it on Ultra when you have to much FPS to spare. But if you do, I would always recommend increasing the resolution scale, because it will add way more details to the textures then the texture setting ever will. Same result here. Can you spot the difference between low and Ultra? I sure cant. And YES, these are two images ( left side, right side ). Since the minium fps on high was higher then on Ultra, you can ask yourself if I got lucky with that 87fps on low and medium. But since there is no difference in visual quality. I would leave this one on low aswell. Now this is a setting that does have a huge impact on visual quality. Low makes light effects less intens and lowers the shadow resolution and size. The higher this setting, the higher the shadow resolution and size. Ultra looks nicer but does give you a disadvantage in the multiplayer. Because shadows are more detailled, it makes it harder to spot enemies who walk or camp in those shadows. If you take a look at the bush down the street, you can clearly see it much better on low then on the other settings. Just think about it. An enemy will always stand out more if he's standing before a brighter or more blurry background then if he would be standing before a darker more detailled background. And beleave me when I say this, in the heat of the action, you wont notice that the shadows are blurry. Can you guess my setting recommendation for this one? To be honest. There isn't that much difference between the minimum fps on the 4 settings. But still, there is more then 7% difference between low and Ultra. The avarages and the highest framerates show way bigger differences. But like I sad, I personally care about the minimum, because that will determin how smooth the game feels. So take in to account that enemies are easyer to spot, and you gain an avarage of 7% ( minimum fps ). It's worth it to put this setting on "low". This one I can't show with screenshots. But it's easy to explain since I've searched for the differences between the settings. For example: When you trow a grenade in the sand. The explosion will cause dust to blow up and it will keep "smoking" for a second or two. On low, the dust will settle much faster and the smoke will clear much faster. Ultra does give the game a more realistic fealing because the animations look more realistic when they are displayed at a slower paste. The downside is that the effects on ultra are a disadvantage in the multiplayer. A player with this setting on ultra will not see as clearly as a player with this setting on low. Especially when there is a lot of action ( explosions ). Simply because all the effects disappear sooner on low. Another difference is that mist, gas and smoke lookt a little better on Ultra. Well, on my PC, not a single FPS difference ( to be clear, the minimum framerate ). This might not be the case on a slower PC. But if nobody sees an impact on the framerate, then it would be strange that this settings exists. Post processing does two things in this game. The first and most visual difference is the overall sharpness of the game. I only showed a portion of a screenshot to it's easyer to spot the difference. A second change is the way objects get reflected on water and windows. By setting post processing on low, you are really downgrading the realism in this game. The way the rain hits the puddles... The reflections are beatifull with post processing on Ultra. That's 15% difference in minimum framerate between Low and Ultra. While lowering this setting will provide a huge performance difference, your game will look more blurry and less realisic. I put this on Ultra, because I prefer sharpness over all other graphics settings in games. Mesh quality clearly determins wich objects/detailed get rendered from a certain distance. But to be serious, this setting should always be on Ultra unless you like that map details pop up while you walk forward and dissappear when you walk backwards. About 7% performance difference between Ultra and Low. You already know wich setting I recommend for this one. This setting adds more volume thanks to tessalation. Without this on Ultra, you are basicly going back in time to the good old days where everyting in games was flat. So if you want some volume on the ground, the walls, etc... Put this on Ultra. No difference in performance on my system, unless you put this setting on Low. Then you get 2% extra performance. Not worth the visual sacrifice if you ask me. I honestly don't understand why this setting exists. If someone knows, please respond with a screenshot. As the name implies, anti-aliasing strives to reduce aliasing as much as possible by a variety of techniques. These differ both in the way that they deal with the “jaggies” and in how much they affect the in-game performance. Unless you love constant flickering, just put this on TAA. About 9% performance difference between off and TAA. Since the game looks horrible without TAA, i recommend TAA. Ambient Occlusion is basicly a shadow setting for objects. I prefer it on Off because it's easyer to sport enemies in bushes that way. The visibility increased a lot on dark maps! A small performance difference on my current system. Like in most modern games, this setting has no effect. In the past, when games had textures without details, you would notice a difference. But now, with so much detail, it's impossible to notice. Expect the same results on an Nvidia Card by changing the Texture filtering quality setting. So if you want 5% extra performance for free, change the profile setting! If you've never tried this before. You should try. Overclocking a GPU is easy and I've never damaged my card in doing so. You can clearly see that I gained 10% performance by overclocking my card to the maximum. I do have to admit, the power usage and noise had to be increased a lot for "only" 10% performance. To be clear, that's 10% increase on the MINIMUM framerate. The gain is higher for avarages and maximum framerates. The power usage increased by more then 30% for 10% performance gain. But me personally, I don't care about that. The card stays below 70°C as long as I let the fans run at maximum speed while gaming. And with my headset, no way to hear my computer. The graph above shows the avarage of the minimum framerate at 1080P, 1080P with 150% resolution Scale and 1080P with 200% resolution scale. So basicly, if your bandwith can handle it, and you own an AMD card. You can stream without wurries. But if you want to do professional streaming with a cool interface, expect a much bigger performance impact on software like OBS. On BF1 you can use certain tweaks. One of wich is the configuration of the amount of threads the game can use. You can add the commands listed below in a User.cfg file in the main BF1 folder. The engine does have certain limits. The game wont run if you're using less then 3 threads and it will also crash when you try to run it with more then 11 threads. By default, the game is configured so that it uses 4 threads. I've run this test on only one resolution. That is 1080P, Ultra settings with 130% resolution scale. For once I will show you the max and avg fps aswell. Since there is no difference in the minimum framerate. And this might be hard to beleave. The reason why the game performs better with 3 threads instead of 11 on my PC can be explained by the fact that my CPU was able to boost to higher clockspeeds with only two CPU cores active. But, like I sad before. It's the minimum FPS that counts. And I got the same performance drop to 74fps. The performance impact will not be the same for every CPU. On my PC, with 4 active threads, I still got 12 more for all other software that is running ( anti-virus, discord, steam, etc... ). But if you only have 4 threads on your CPU, they have to "share" the game with all other background-tasks, and this could cause micro-stutters. Always make sure you got one CPU-thread free. Meaning, if you have an Intel I6600K or a simular CPU ( 4 cores, 4 threads ), try to run the game with the minimum of 3 threads. The more cores you have, the more threads I would dedicate to the game but always with minimum 1 spear thread. This will result in 3 active threads. This will result in 11 active threads. If you go higher, the game will crash before you see the main menu. Tip: In order to see how many active threads there are, add the command "render.DrawScreeninfo 1" to your User.cfg file. So what is the best way to find the perfect settings for your system. Change these settings, in this order, and after every change, play the game for one session. Keep upgrading the settings untill you find the sweet spot. Meaning the lowest framerate you want to game to run on. - Keep everying else on low. Turning the other settings higher will only decrease framerates, increase VRAM usage and will even give you a gameplay disadvantage. I posted this draft topic while it wasn't finished yet by accident. More benchmarks will get added in the upcoming days. Nice write up for users who aren't sure of what the different settings do. I added a CPU benchmark for you. Disabling cores would not be a good option for you, because it would cause my remaining cores to run at higher clockspeeds. That's why I used game-engine settings in order to force a certain amount of threads. Also, make sure DirectX 12 is disabled. DirectX 12 is the main cause of micro-stutters for most BF players. Excellent research and presentation. Thank you! One recommendation: At the end, a summary table of your advised settings. 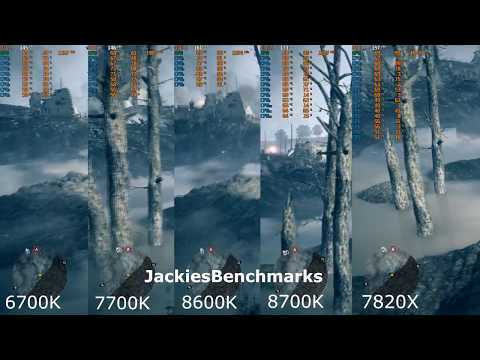 I added a new benchmark in wich I tested the Radeon driver settings. 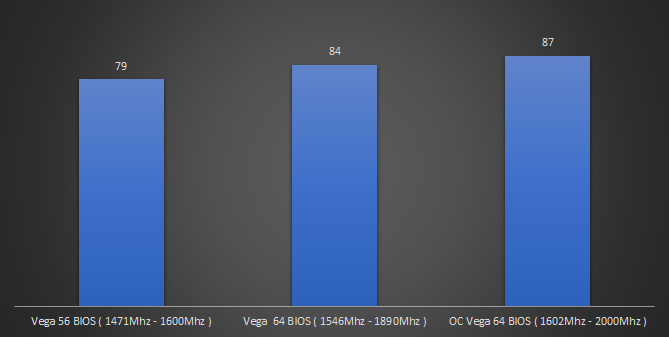 I added a new benchmarks that displays the benefit of overclocking your GPU. Very nice job documenting your findings. Thank you for taking the time. Yo Jelle! Could ask you on discord, but anyway. I have a i7 8700K, will that say that i should enable 11 threads? Would there be any difference? It would be abnormal to see or feel no difference at all. We are talking about a difference in boost clock from 4,2Ghz to 4,7Ghz. 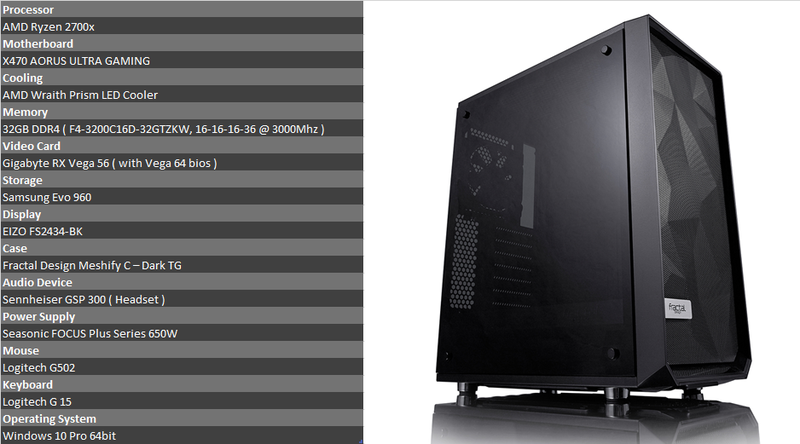 And even if you had overclocked them both to 4.8Ghz, there is still 5-10% ipc difference and you have 2 extra cores. I added a "Streaming vs No Streaming" benchmark. People, you have dual kit RAMS ? Right ? Because you get all benefit of RAM speed with dual channel technology (Double Data Rate) with two identical RAM sticks. And placed in right slots, read MB manual. If you don't overclock your CPU, it performs worse then 6600k ( minimum requirement for the game). Just Google some benchmarks. And the fact that you only have 8gb RAM and that you have a slow drive for virtual memory doesnt help. You have a weird configuration. A 1600x with a 1050ti would have resulted in better performance for the same price. Try do to some windows tweaking to the max ( just Google it) and try to overclock that cpu. I tested this game with a R7-1700 OC'ed to 3.725 GHz with 4 cores and smt disables to see how it would run. You need to lower cpu intensive settings a bit like mesh,shadows and lighting. On the nvidia control panel disable the option called "Threaded Optimization" this one helped me smooth out the fps a bit. Also is that ram 2 sticks of 4GB?